Kaylor has been doing videography professionally for 2-3 years now and in a job shadow/interview recently done with Ficklin we were able to get the full story to find out what she has you been doing to be successful. Kaylor’s first year of videography was spent a lot in thinking and wondering where she wants to be, and exploring the field to see if this could be something she could even see success in or not. In Ficklin’s second year of filming she was able to find a mentor. She found this to be HUGE in her growth was a direct source of answers to questions and beat watching YouTube videos by a large margin. When asked about how much more effective a mentor is versus flipping through YouTube videos to acquire skills Ficklin responded “Oh, it was like INSTANT!” She felt that a mentorship dramatically sped up the learning curve, and was always looking for opportunities to make videos on her own on top of shadowing her mentor. Kaylor slowly worked up the ladder, and as soon as she felt comfortable on her own and had the skill set to accomplish what she wanted, clients were lining up to hire her simply because the content she was providing was amazing! The ability to get her content out to clients and step outside of her comfort zone landed her an average of 1.5 weddings a week! Talk about work flow! Not to mention that she edits them all by herself. 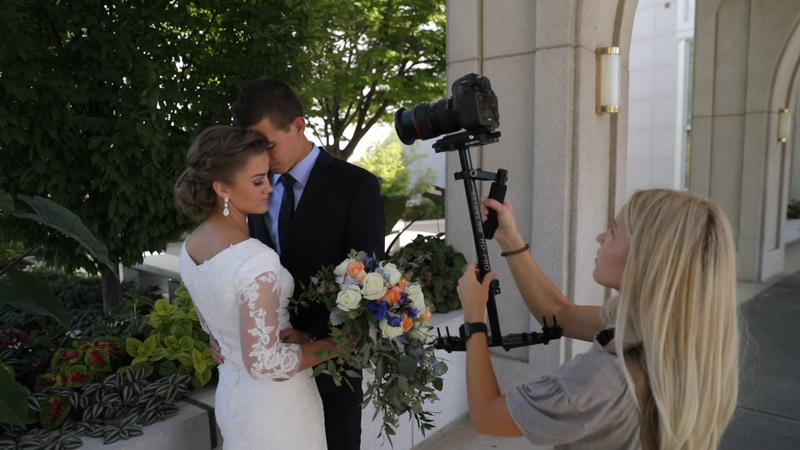 With people all around the world always getting married, Ficklin found that she always had someone wanting her to film their weddings and decided to specialize in just filming weddings. “This is what I wanted, this is what I wanted to come to, and its finally here!” she said in an interview. In such a competitive industry, a big doubt that film makers have is “How do I advertise myself?”. Especially in a male dominant industry, Kaylor has found that through small and simple things great things were brought to pass. “A lot of my clients come from social media. I get referrals from my clients, then my clients mom, then the mom’s friends, photographers, etc. I get so many referrals. Just being nice, kind and working together with people.” said Ficklin. Walbeck later said “One thing I noticed at the very end, is she had a bag of candies and she gave the bride and groom candies at the end! And I said now THAT’S the difference between a female and a male videographer!” Kaylor Ficklin is changing the videography industry one bag of candy at a time. A big part of film making and filming weddings comes the importance of connecting with the people you are filming. “I feel like woman are naturally just better with humans, they are more sensitive, and better communicators.” Especially with brides in the wedding video industry, females have such an advantage. It leads to better relationships which leads to more referrals, the whole 9 yards. “I am always looking for ways to learn and to grow. I don’t just want to stay in the same spot, I am always wanting to go up.” said Kaylor when creator of Full Time Film Maker; Parker Walbeck asked her why she decided to purchase his course and pursue videography full-time. “That helped me out so much, because I didn’t have to go to YouTube to look stuff up like I was before, I could just go to the course. I wish those courses were around when I was starting because they would have helped me SO much.” she said. So just how was Kaylor Ficklin able to succeed in such a male saturated industry despite the odds? It was obvious that challenges arose and doubtful eyes of others as she said, “I get a lot of looks from people, they think “she probably doesn’t know what she is doing….she is probably not very good. So people take me as a joke sometimes.” Another roadblock that females see in the videography industry is having the arm strength to physically film all day while holding a 10-15 pound stabilizer and camera with one arm. “It took me a year to get comfortable, when I first started I was just like holding it and shaking, and people were like ‘Oh is that heavy for you?’ so you fake it till you make it, that’s how you do it in this industry.” Kaylor suggests to females that it is not easy, but through hard work and determination you can do it! Walbeck feels as though females “can really rock this industry” especially in the world of weddings. Kaylor finds that it comes from learning, even from other people’s videos, but is always looking for new ways to make her videos more interesting and lively. 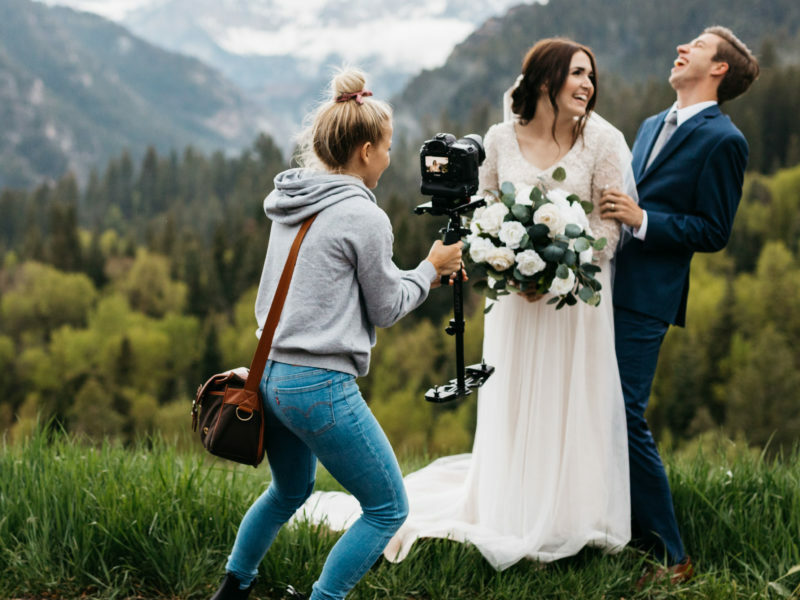 As a wedding filmmaker she calls out what movements she wants in the video and directs the newlyweds what to do so that her videos can have as much emotion as possible. This is a big advantage that females have verses males who may struggle to know what looks good in wedding videos. 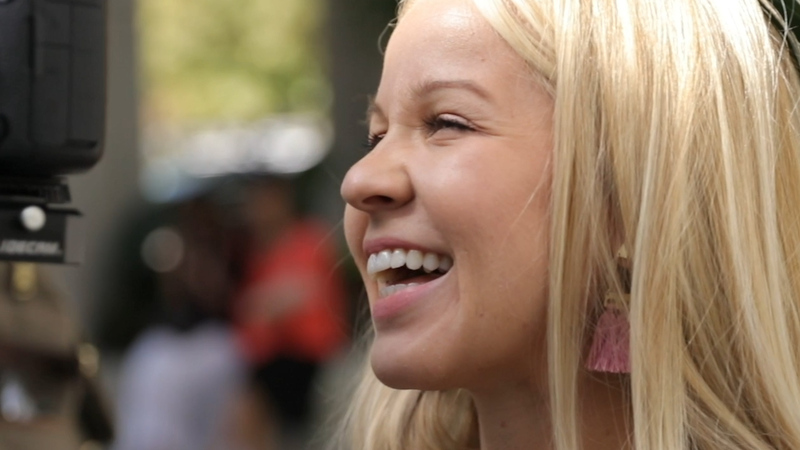 Kaylor Ficklin is “killing it” in the industry and accredits her success to simple things that most aspiring entrepreneurs might look past; hard work, fake it till you make it attitude, and the persistence to see past stereotypes or doubts. 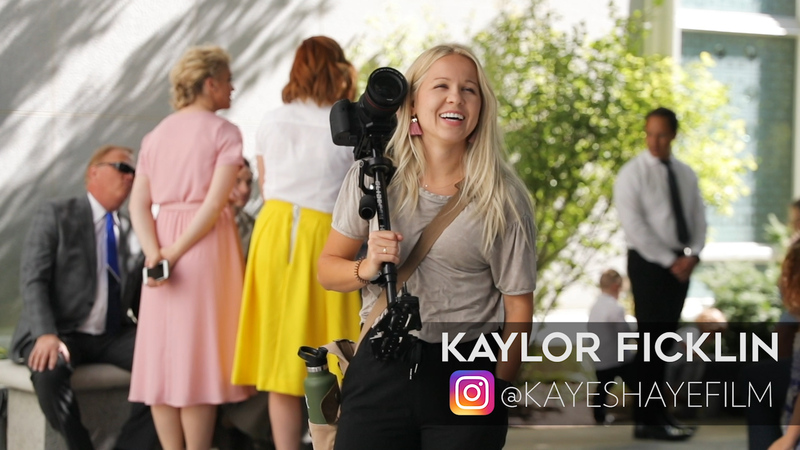 Kaylor is just one of many success stories that started from the ground up by means of Full Time Filmmaker; the ultimate online course that acts as a mentor to show you the necessary skills and equipment to get started in the industry of videography.